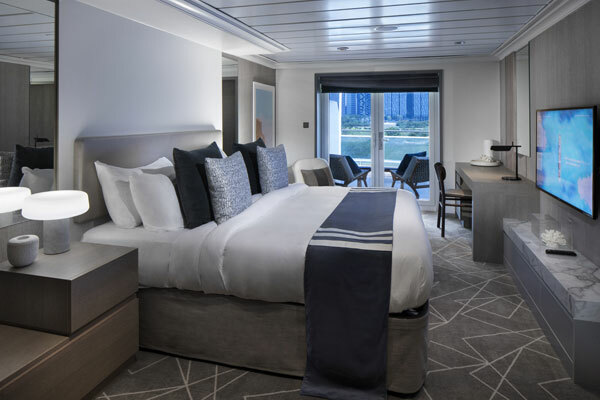 Celebrity Cruises’ “new” Celebrity Summit is ready to turn some heads after completing a dramatic transformation. 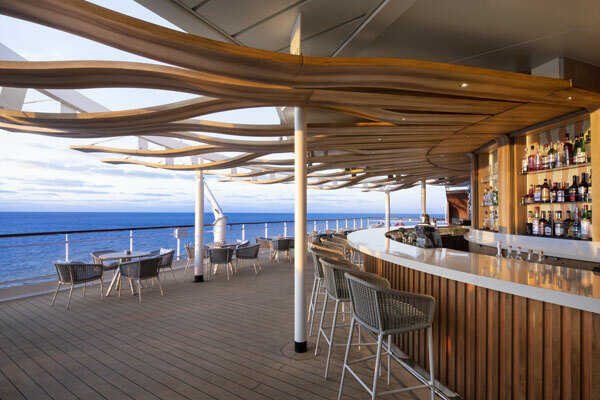 The ship’s revitalization marks the beginning of the US$500-million “Celebrity Revolution,” the cruise line’s biggest fleet-wide modernization ever. On the all-new Celebrity Summit, enhancements included completely redesigned staterooms and suites; the addition of The Retreat for suite guests, with an exclusive new sundeck and redesigned lounge; re-imagined restaurants, bars and lounges; a redesigned spa and casino; and new designer boutiques featuring the hottest designer names. Enhancements made to the staterooms and suites include: All-new luxurious and modern stateroom design in partnership with HBA; the addition of Celebrity’s eXhale bedding featuring Cashmere mattresses; completely redesigned stateroom bathrooms with all-new, state-of-the-art finishes and fixtures; advanced RFID lock technology with digital key access has been added to every stateroom door; refreshed suite design and finishes by Hoppen; an all-new exclusive open-air hideaway – known as The Retreat Sundeck – for suite guests designed by Hoppen and featuring a new hot tub, cabanas, loungers, artwork and more; the Retreat Lounge (formerly Michael’s Club), an exclusive 24/7 lounge for suite guests designed by Hoppen and offering complimentary beverages, gourmet bites, live entertainment and concierge service. Celebrity Summit is just the second revolutionary redesign for the brand, with Celebrity Equinox scheduled to enter dry-dock in May and six more ships to be revolutionized by 2023.